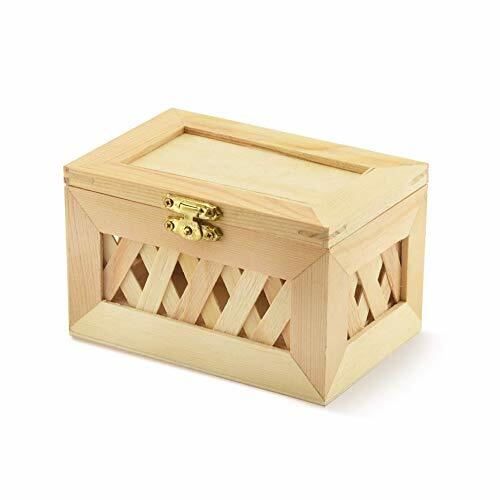 A PLACE FOR YOUR THINGS – This unique lattice design wood trinket box is a great place to store all those small items that need a home. 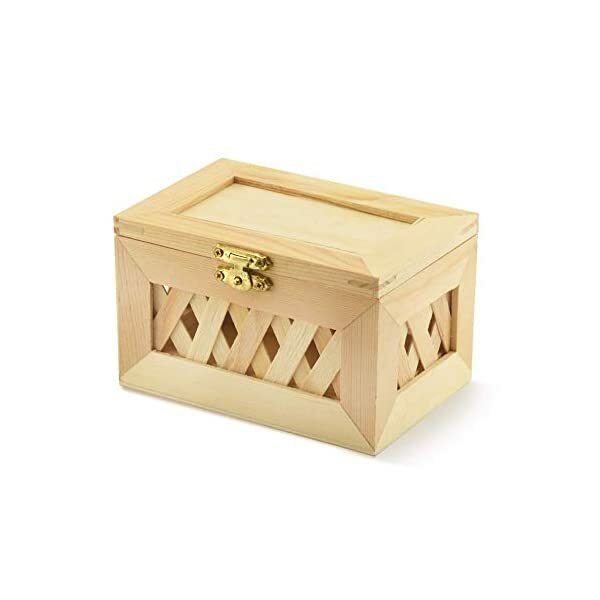 From hair accessories to playing cards, jewelry to recipes, this box is versatile and useful. 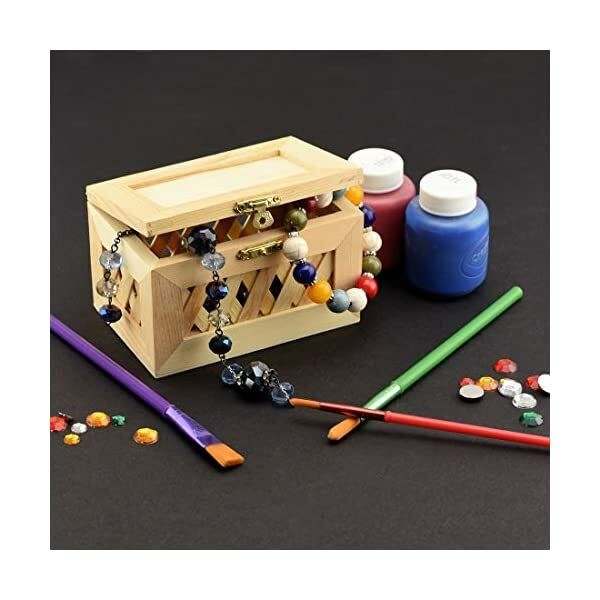 FUN TO DECORATE – You can embellish this box in unlimited ways! 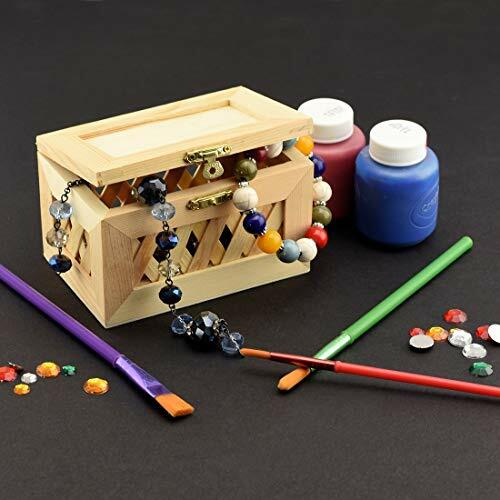 Paint it or stain it, add some sequins, gemstones, ribbon, sea shells or other craft items you have on hand. Apply a decorative napkin with Mod Podge for a cool decoupage effect. 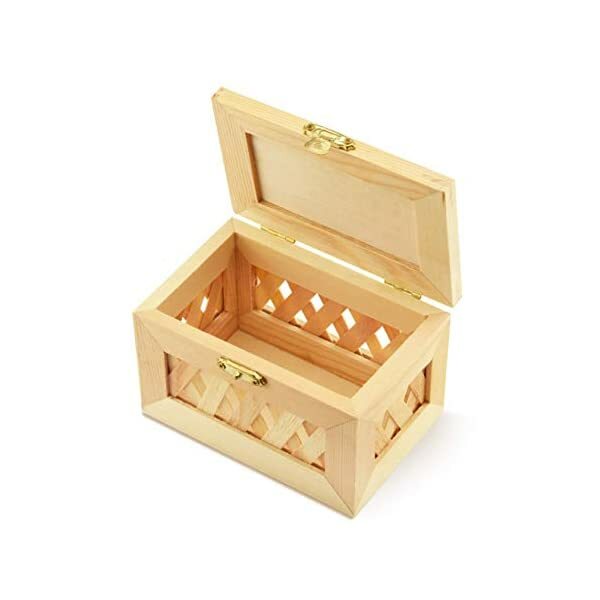 This exquisite wood box is the perfect box to use for jewelry, trinkets, playing cards, notes and more. The unfinished wood can be stained or painted, and embellished with gem stones, glitter, decoupage and paint markers. The cover is attached with 2 metal hinges in the back, and it closes securely with gold colored metal clasp in the front. 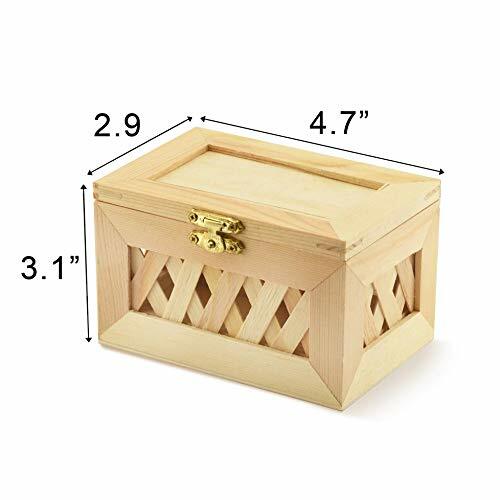 This premium quality wooden box is lightweight but sturdy. 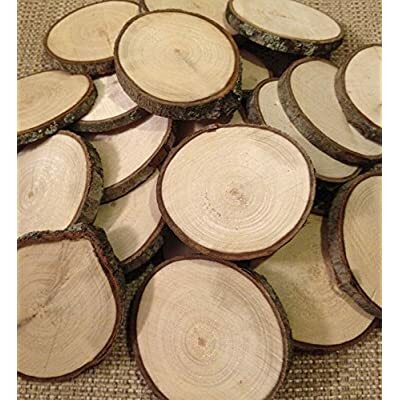 It is versatile and sure to suit your needs. If for any reason you are not satisfied, we will back you up with a full refund! 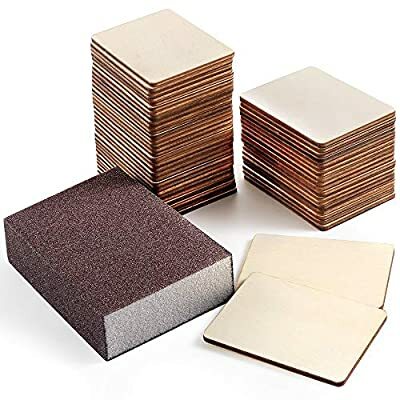 CHOOSE YOUR SIZE – These boxes come in two sizes; you can choose between the larger and smaller size, or a set of both which come nested. The larger box measures 5 7/8 inches long x 4 1/8 inches wide x 3 3/8 inches high. 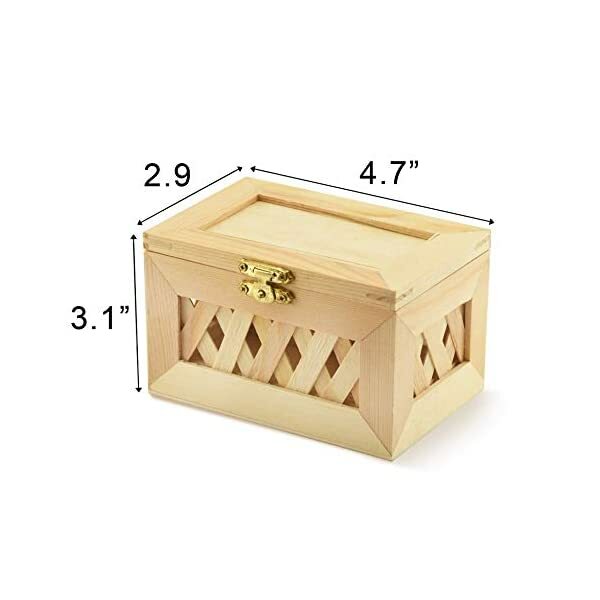 The smaller box measures 4 11/16 inches long x 3 1/16 inches wide x 2 7/8 inches high. 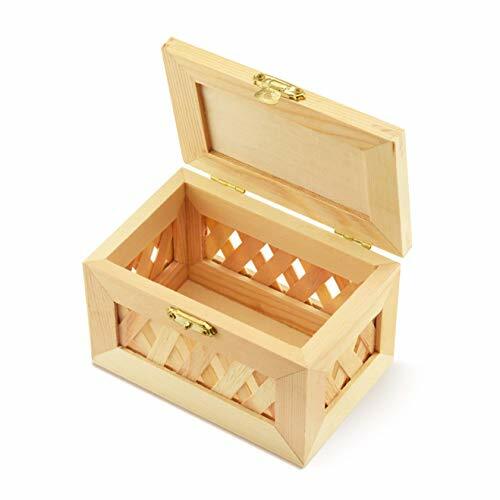 IDEAL FOR HOME OR SCHOOL – Adults and children of all ages will enjoy creating and using these lattice boxes. 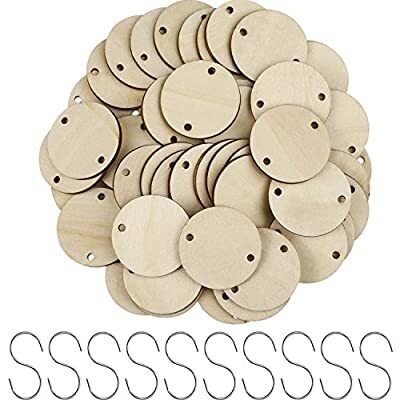 Great for group projects in school, camp and parties. 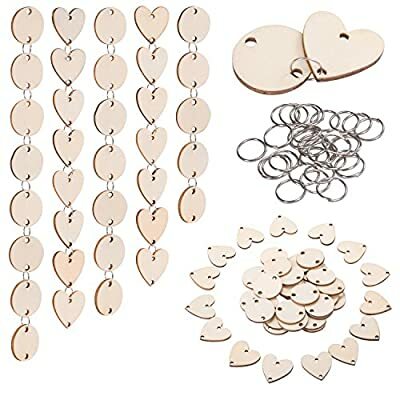 Decorate and give as a home made gift to someone you love!